This book provides a detailed examination of the complex negotiation processes surrounding intergovernmental conferences in the European Union. Since the Treaty of Amsterdam (1997) and its ‘appendix’, the Treaty of Nice in 2002, any reform of the treaty framework of the European Union seems to be doomed to fail, evidenced by the decline of the Constitutional Treaty and by the current fate of the Lisbon treaty. By presenting an extensive quantitative study of the Intergovernmental Conference of 1996/7 prior to the Treaty of Amsterdam, the authors argue that these negotiations reveal the major challenges of European integration. Drawing on advanced statistical methods, they contend that multi-level negotiations require an appropriate coordination of informal administrative networks and the empowerment of administrative leadership, with these factors significantly shaping the dynamics and outcomes of negotiations. Through these findings, this book lays down the foundation for future evidence-based evaluations of negotiations and implementation studies, and delivers new insights on decision-making within the European Union. 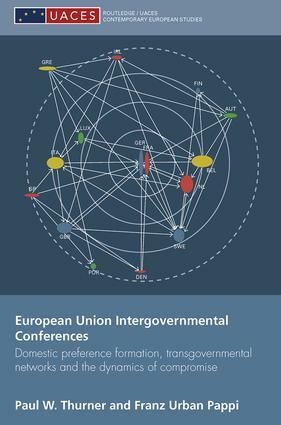 European Union Intergovernmental Conferences will be of interest to students and researchers of political science, sociology, administrative science, business and management studies, international law and European law.